St Pancras International originally opened in 1868 and since then, the station has been on an exciting journey. It remains one of the greatest Victorian buildings in London and has become not just a key destination for Eurostar and high-speed rail in the UK, but a fantastic retail and hospitality destination. Chaos has supported its website, eCRM, consumer marketing and has helped further its desire to become more of a destination than simply a point of departure and arrival. 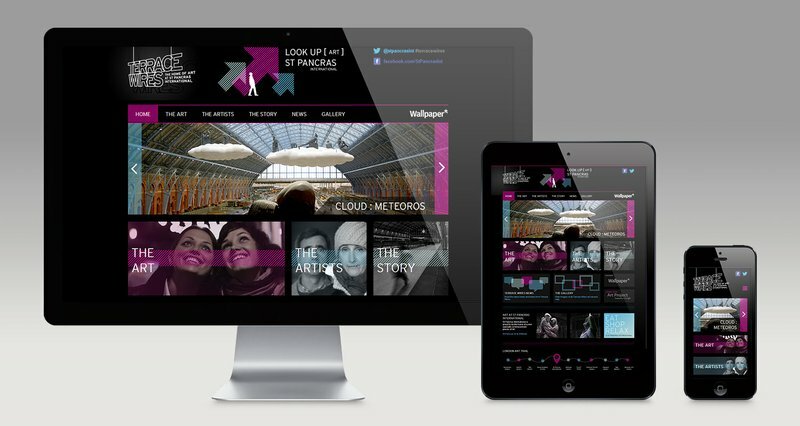 When St Pancras International launched its Terrace Wires aerial artworks installation by world-renowned artists, we created a Terrace Wires identity, styling and concept to bring it to life online and for London media advertising. 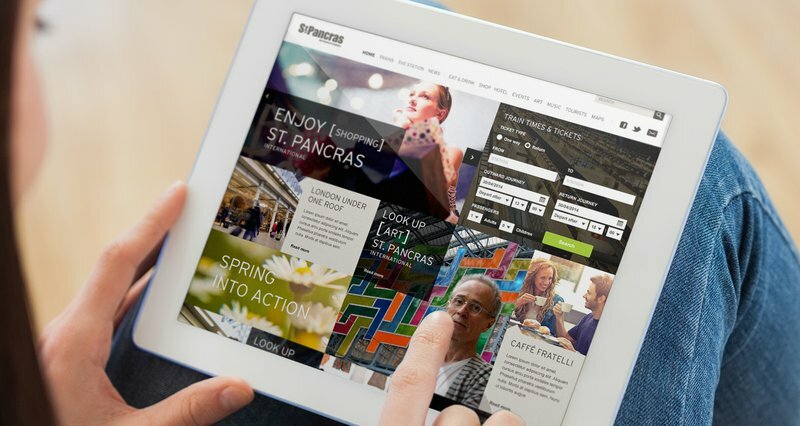 Built within the client's existing CMS platform for easy updating, the fully responsive site linked with the main St. Pancras International site, which Chaos also manages. The launch and positive feedback led to extensive national TV news, online coverage and a shortlisting for design awards. St. Pancras International (home of Eurostar and part of HS1), wanted a flexible messaging platform and guidelines to help raise their profile as a retail and leisure destination, and not just a point of departure. 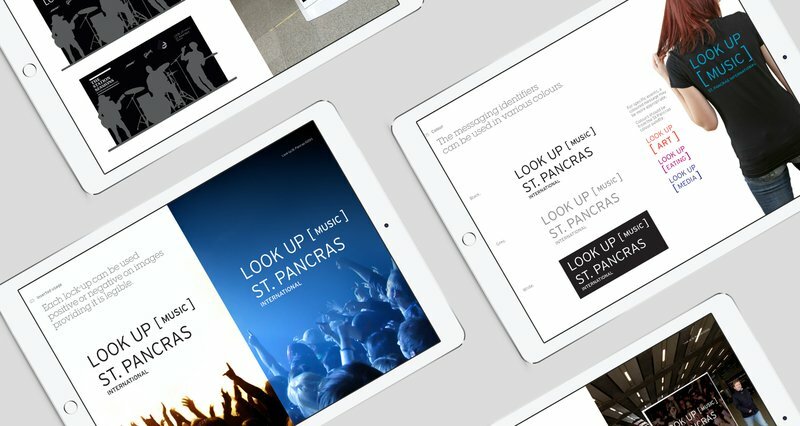 We created ‘Look Up’ – a dynamic call to action to investigate St. Pancras further. Used across media from ambient pop-ups, wayfinding and ads to the website content, the messaging covered seven key attractions on site (Music, Art, Shopping, Media, Music, Eating, Filming). Each attraction had its own ‘characterised’ typographic identity, with flexibility for more as St. Pancras grew.